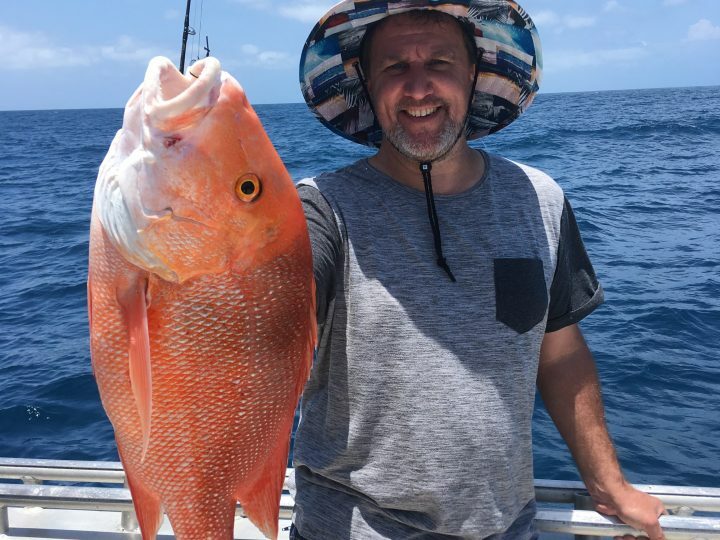 Fishing in Broome, April 2018 was awesome! It’s always good to get back up to Broome and kick off the season. This year we started fishing charters just before Easter and it didn’t take long for us to find a few fish around the place. Fishing conditions throughout April were mostly good. We didn’t get our usual Easterly winds, which meant that we got some really nice calm days. The only downside about having no wind though was it was quite hot on some days. Lucky for us we have lots of shade on the boat and you can always get a bit or relief from the heat in the air-conditioned wheelhouse. Looking back through our fisheries logs, we had some cracking days on the fish. 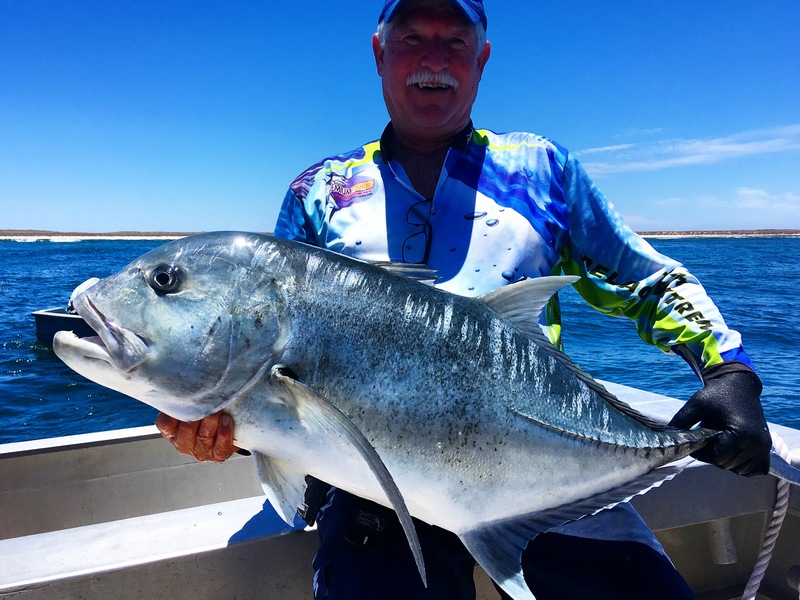 The north grounds fished well for pelagic species such as Spanish Mackerel and Giant Trevally. The Mackerel can sometimes be a little hit and miss at the start of the season but we had reasonable consistency when trolling landing good numbers on most Broome charters. We even got to double figures a couple of times and left them biting. 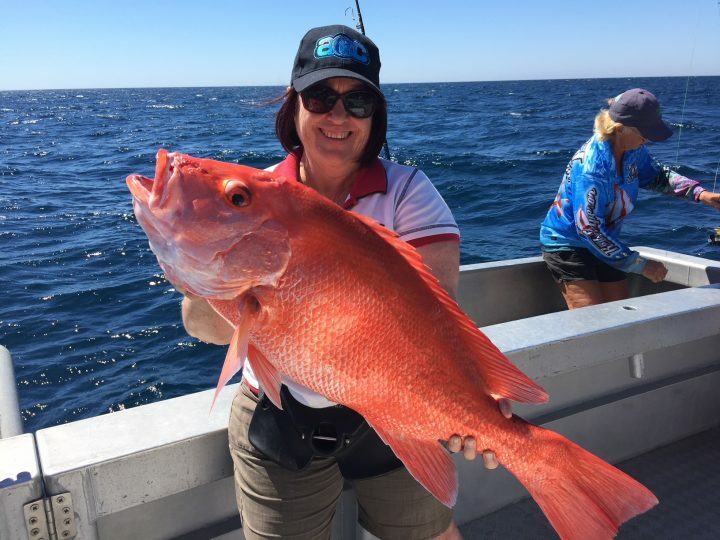 A good variety of reef species were captured on our Broome Fishing charter, with some notable captures of Golden Snapper, Saddletail Perch, Red Emperor and Coral Trout. The Black Snapper have been a little patchy, with no real big numbers showing up yet due to the warmer Indian Ocean temps. Lots of good size Cobia were showing up and taking baits intended for reef fish. For anyone that is not familiar with the Cobia, otherwise know as Black Kingfish, they are a hard fishing sports fish that can also be great on the table. They are often found around Manta Rays and larger predators like sharks. They will readily take a bait of lure and usually put up a great fight once they realise they are hooked. We find they can be a hard fish to land as once beside the boat they roll a bit like a crocodile making them hard to gaff, so when a big one is landed it usually involves a bit of luck. One thing that hasn’t change much from last year is the amount of sharks frequenting the reefs. In past year we have noticed a decline in shark numbers on some reefs at the start of the season. This was defiantly not the case this year, sharks were in big numbers on the popular reefs from the get go and we are finding some reefs are almost unfishable. I look forward to one of the government departments addressing this problem as we can see issues with sharks eating a large portion of hooked fish having a negative impact on fish stocks. Responsible operators like us, recognise the issue and move to different reefs once the shark’s move in. If we were to keep fishing and the sharks eat a number of fish before we reach the bag limit. 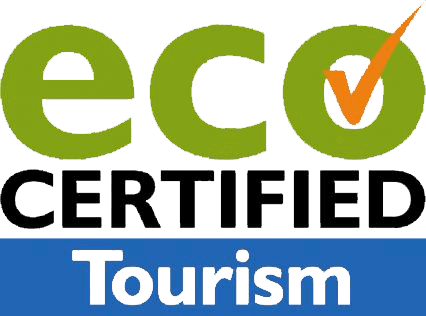 Potentially you could be removing 2 or even 3 times the amount of allowable catch to get to your bag limit. Anyone with half a brain can see that this will have a devastating long-term effect on fish stocks. Fingers crossed the problem will be addressed soon. 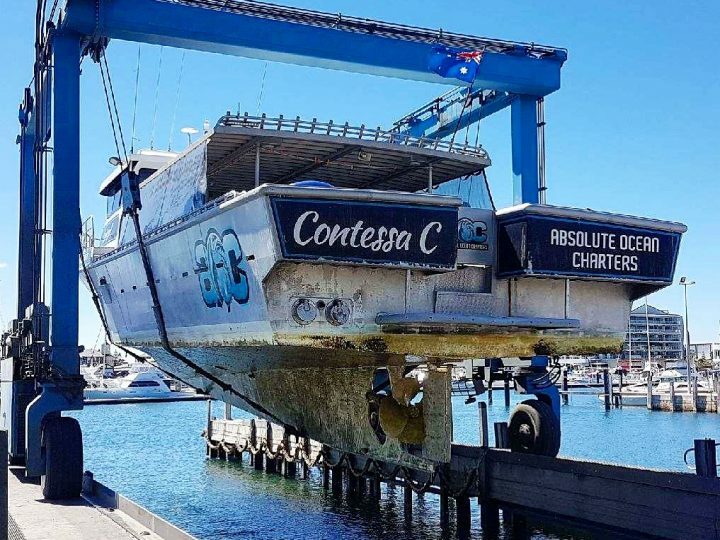 Aside from the above negative issue, the number of repeat customers on our charters is evidence of how lucky we are with the fishing in Broome. 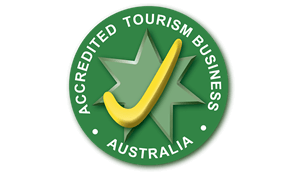 We often get comments from customers on haw good the fishing is, how much they love Broome as a destination and they cant wait to come back. 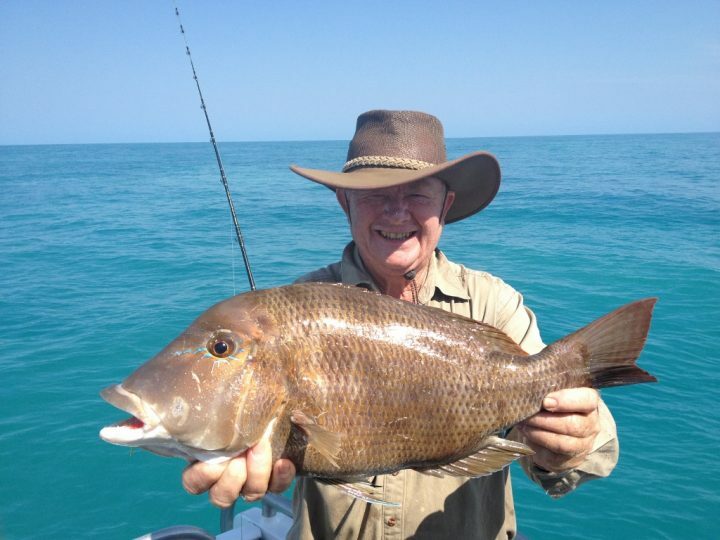 When planning your next Broome holiday make sure you check out our Creek & Estuary Fishing Charters page.